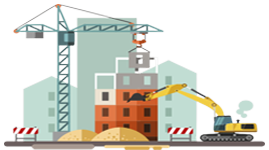 Construction Loans Melbourne: Quick, Easy & Affordable. We can find you the Construction loan that works for You! While in a standard home loan, all funds are advanced at settlement with a construction loan, Lender will usually retain all of the cost to construct your property (amount stated in the fixed price building contract). Construction loan funds are progressively drawn down at each stage of construction. Each progress draw-down is referred to as a “Progress Payment”. Progress payments are made directly to the builder. If bank is only funding a portion of the cost to construct your home, you must contribute all of your own funds before you can draw down on the loan. There is a difference between loans for buying an established property and loans for building your own home. Progress payments – Banks pay builders in instalments called progress payments and they have rules around how these payments are made. Some charge ‘Progress payment fees’ for each payment, others may pay the builder only if it is as per a standard payment schedule. Construction process – Various lenders release Grants, such as First Home Owners Grant at different stages of construction process. They may also organise inspections at different stages – And charge you for the inspection. We help you navigate through all the possible hurdles. Want to build on land you already own? Or buying land to build on? Or looking to buy a house and land package?